Without plans to slow down anytime soon – this Michigan couple who are in their 70’s found the ideal home minutes away from downtown Birmingham to suit their lifestyle. Having downsized from a large traditional tutor-style home to a more modern house, this couple who are still active in their careers and travel often, have designed their house for easy living. Working with Bob from EuroAmerica Design and their builder/architect Ben Heller, the homeowners set out to design a contemporary kitchen that had a good layout for entertaining as their children and grandchildren visit often. The first step was to move a few walls to accommodate a large island, windows and an open floor plan into a living area. 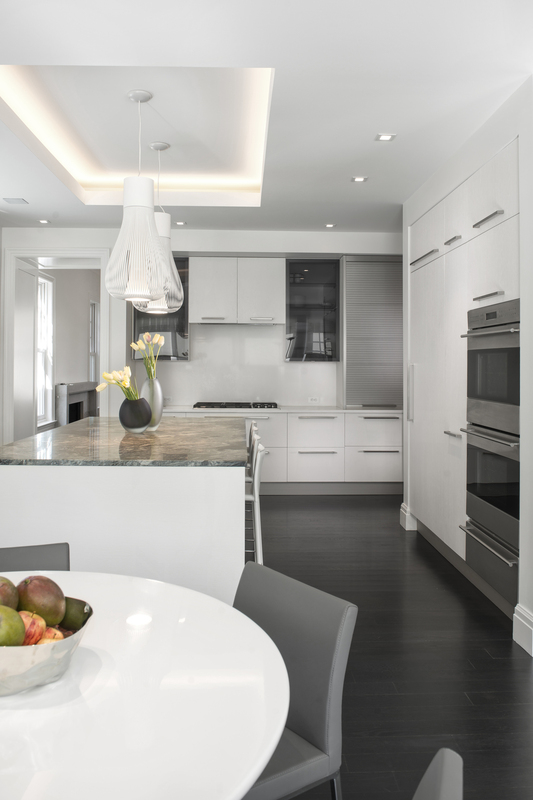 To achieve a seamless, no clutter design, the design team incorporated white cabinets throughout, smoky grey upper cabinets and an appliance garage. 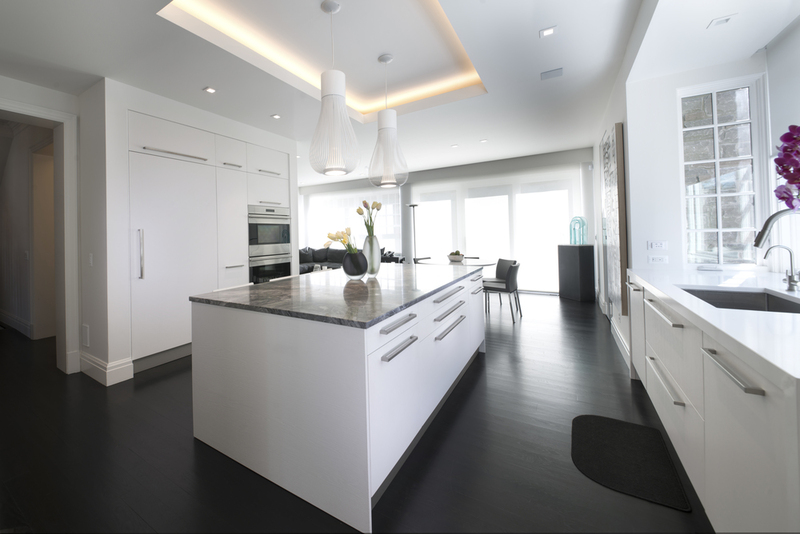 The kitchen has an overall airy feeling, as the design purposely limits the number of upper cabinets to achieve this.